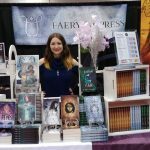 In The Violet Fox, Kiera Driscoll disguises herself as a Marlenian princess and infiltrates the castle to retrieve a stolen magical tome that rightfully belongs to her people, the Freetors. She’s able to make it easily into the castle because of a festival called The Gathering. Every year, the four provinces of Marlenia send ladies and lords to stay at Prince Keegan’s castle to foster relationships. The Gathering’s ultimate purpose is to help Prince Keegan choose an able future bride to rule Marlenia at his side. In addition to the blog tour (running October 12-November 13), there will be one week of quizzes, games, scavenger hunts, and more! All good fun for the ladies of the realm, yes? The Gathering will run October 14-21, 2012. This will run throughout the blog tour, but will start during The Gathering Week. 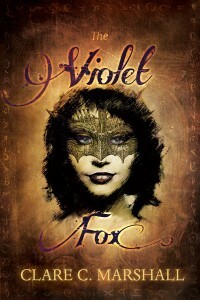 Certain blogs that have signed up for the blog tour will have an image of the Violet Fox mask. To “catch” the mask, leave a comment on the blog post, and submit the URL with the scavenger hunt form. There will be five masks to catch in all. This will go on throughout the blog tour. Eager ladies of the realm seeking to impress Prince Keegan must complete certain tasks to win his affection! Answer the skill-testing questions and catch the elusive Violet Fox to WIN! Now YOU can be The Violet Fox! Your mission: infiltrate the castle and steal the Holy One’s prized sceptre. Will you seduce the prince to achieve the goals? Become caught up in royal life? Or end up in the dungeons? It’s up to you. 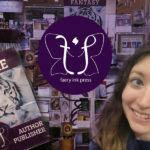 Will be available as a downloadable PDF, or live on the Faery Ink Press website. 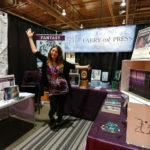 Stay tuned about The Gathering by signing up for The Faery Ink Press Book Club Newsletter, by liking Faery Ink Press on Facebook, or by following Clare C. Marshall on Twitter!